The 2018 Masters Tour of Chiang Mai saw almost 225 participants from over 32 countries being cheered on through the various stages with routes across Chiang Mai. With its increasing popularity worldwide, the organisers are anticipating more competitors for the 2019 event after having world champion cyclists take part last year. Masters Tour of Chiang Mai is a four-stage bicycle race with different age categories to encourage cyclists from all over the world and from all age groups to compete. For 2019, racers split into three pelotons for better grouping. The race will comprise of two road stages, a circuit stage away from traffic, ending with an individual time trial climbing Doi Suthep. All the steps will have a rolling start at the Sirinart Garden Hotel to a restart point. The finishes will be in cycling distance, but arrangements for motorised transport are available. In addition to race sign-up, the Masters Tour of Chiang Mai is offering accommodation and transport packages to be booked during registration. There will be a race meeting the evening before the first stage to announce final details and last-minute changes. 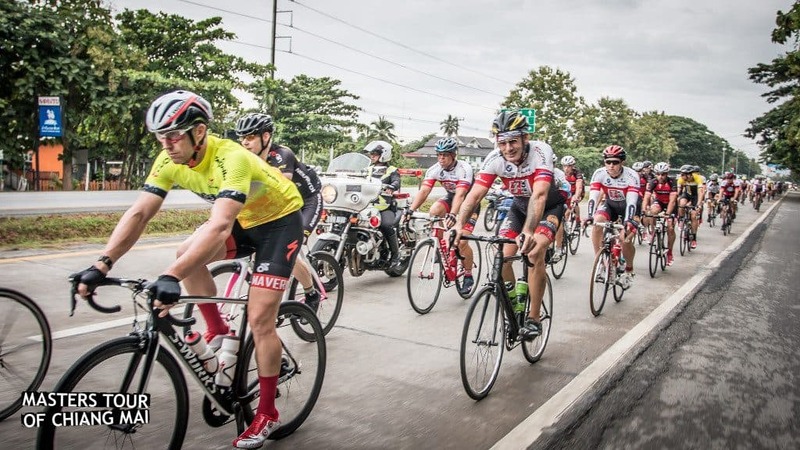 The Masters Tour of Chiang Mai 2019 has been planned to cater to all types of cyclists to make the competition an all-around attraction. Open A, Open B, 30-39, 40-49, 50-59, Masters 60+, Ladies Open, and Ladies 35+ are up for registration. Stage 1 is a 74.5 km road race with a 420 m climb and a compulsory 20 km rolling start. Step 2 is a 40 km circuit, traffic free, on Chiang Mai Rajabhat University’s campus with a hill of 480 m. Stage 3 is 83.5 km road race featuring switchbacks along Samoeng Road and a 630 m climb. Finally, Stage 4 is a classic individual time trial of 11 km with a 620 m vertical climb up the world-famous Doi Suthep.